This is a delightful yet subtle incense, a high quality fragrance of frankincense. 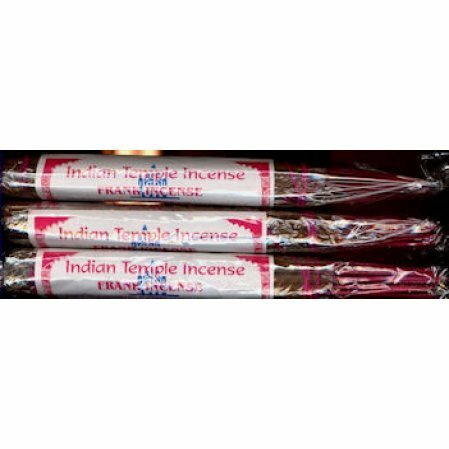 This is a delightful yet subtle incense, a high quality fragrance of frankincense.Frankincense is also called olibanum and is an aromatic resin made from trees of the genus Boswellia, an African tree.From the manufacturer of Indian Temple Incense. I am always happy with the incense that I purchase from you and will continue to do so. Great service -- arrived in shorter time than expected. My first experience with this treasure.. very deep mood of shadows and light. A fragrance that transports you to a sacred place. I love the incense, fast shipping. great service!